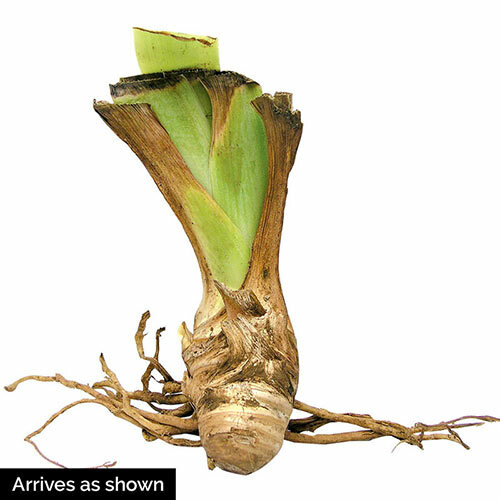 Planting InstructionsSet rhizomes so bottom 1/2 is below ground-level, firm well and water thoroughly. Flower FormTypical iris like. Large flowers. Foliage TypeFans of green sword-like upright leaves in spring and summer with some dying back in colder climates in winter. PruningRemove spent flower stems. Cut back foliage to 6" fan in late fall. Clean plant debris before winter to prevent borers overwintering. 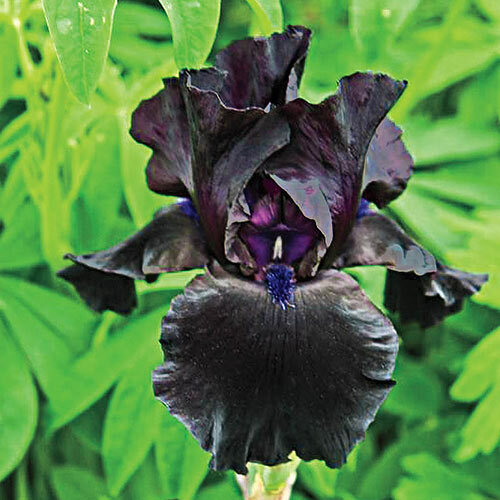 Unique CharactersticsDeep black coloring with purple tints makes this large-flowered Iris a dramatic focal point in the late spring-early summer garden! The plants are very vigorous, the stems strong, and the blooms are lightly fragrant.